Dr. Karl-Thomas Neumann, GM Executive Vice President, President Europe and Opel CEO, stepped out of his office to pay a visit to the General Motors Powertrain Europe-Turin facility last month. The center provides the German brand with diesel technology. The 1.6L diesel Nuemann is referring to was engineered at the Turin center. Affectionately called “Whisper Diesel,” it is already available in the Zafira Tourer and the Mervia line-up. It also made an appearance in Geneva in the Opel Astra high-volume model range. This is just one Opel (and its Vauxhall brethren) that is benefiting from the work of the engineers at GM Powertrain Europe in Turin. Additionally, Nuemann visited the Politecnico Campus and met Professor Marco Gilli, Rector of Politecnico di Torino. 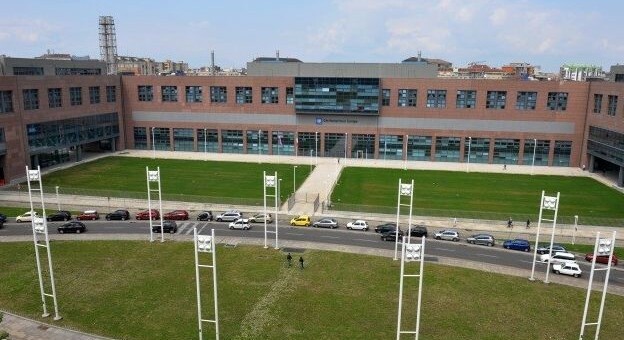 The GM Powertrain Europe-Turin facility and the Politecnico Campus have coexisted since 2008, being the first private organization to work closely with the university. Gilli gave a presentation on alliances between Politecnico and and GM Powertrain Europe-Turin campus. Now I confused I thought this building was part of VM motori?